»» Download Super Screen Capture for free! Super Screen Capture ::: a computer program used to take screenshots. Using Super Screen Capture can capture the full screen, an area of ​​this or an active window. »» Download Lightscreen for free! Lightscreen ::: a computer program used to take screenshots. Using Lightscreen can capture the full screen, an area of ​​this or an active window. 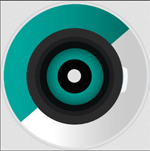 »» Download Any Audio Grabber for free! »» Download TheAeroClock for free! TheAeroClock ::: a computer program that allows users to install a clock on the desktop. Using TheAeroClock, the screen of your computer will display different information about the date and time. »» Download Free Video Compressor for free! »» Download Any Audio Record for free! »» Download Soft4Boost Image Converter for free! Soft4Boost Image Converter ::: a computer program that allows users to convert photos. Using Soft4Boost Image Converter can turn your photos into different photo formats. »» Download QtlMovie for free! »» Download Spy PC Keylogger for free! Spy PC Keylogger ::: a spying program, which lets users know how the computer is used. Using Spy PC Keylogger can spy everything that happens on your computer. 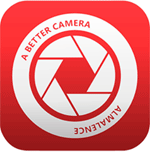 »» Download AireCam for free!